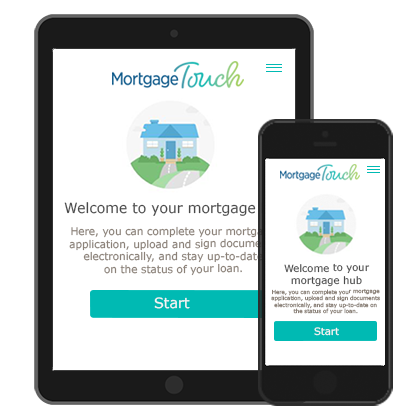 Modern technology with guidance from local experts for a better home buying experience. 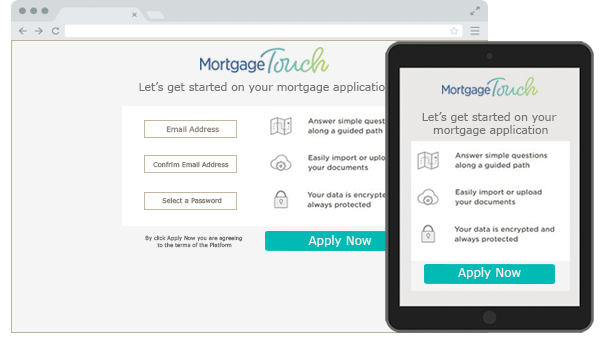 MortgageTouch® makes home borrowing easier and fast. Complete your application in minutes. 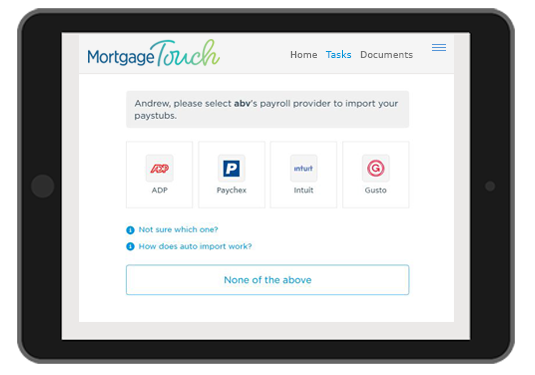 Link your bank accounts, tax records, and income sources without ever digging through your paper files. Top tier encryption ensures your personal data remains private.